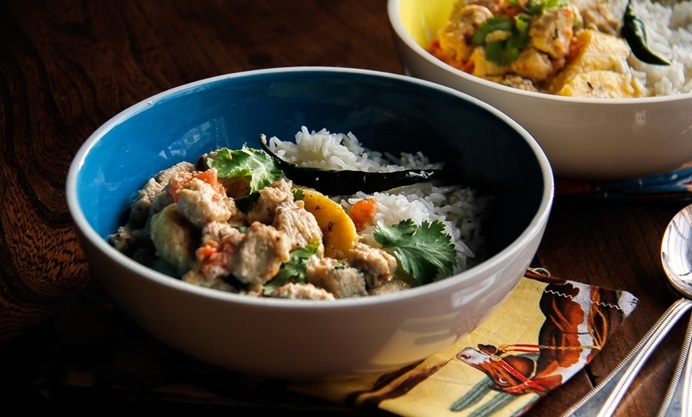 This recipe pairs the tropical flavours of plantain and coconut with Quorn chicken pieces to great effect. Coconut and plantain are popular ingredients which have become common place in savoury recipes in Africa, The Caribbean and South America. Vegan Quorn is now widely available in the UK, but make sure to double check the label if cooking up a vegan storm. 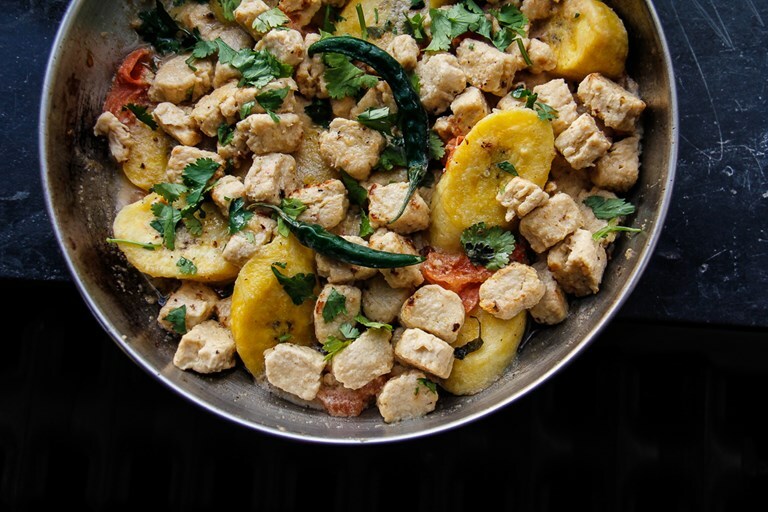 The starchy and low in sugar plantain pairs wonderfully with high protein and low saturated fat, Quorn chicken pieces. The use of coconut adds an exciting layer of flavour, while the lime juice gives it a lively finish. Quorn is high in fibre and low in calories making it a great alternative to meat for vegetarians or for meat lovers looking to reduce their intake. It is quick and easy to cook, with endless recipe possibilities. Please note: Plantain can be found in local African, South American or Caribbean shops. Pumpkin or sweet potato work well as a replacement.